I don’t know the exact boundaries of Douglas County as of 1855, but I suspect that neither Shannon nor former and future Acting Governor Daniel Woodson lived within them. All of those delegates had to come from somewhere. Phillips suggests that maybe three men got together somewhere and named Shannon.. The convention would hardly have scrutinized the qualifications of a sitting governor they wanted as a patron. From the Sovereign I also learn that while chosen to represent Doniphan, Patrick Laughlin did not appear. A separate piece informs the reader that Laughlin remained confined the bed and alleges some kind of free soil midnight raid on the place where he rested to finish him off. Given Laughlin didn’t sound well before, it seems Doniphan made him a delegate as a show of support rather than with the expectation that he would attend the convention. more than an hour in a very able and earnest manner, and to the entire satisfaction of all present. His address satisfied all that he was an able, liberal, devoted patriot; States Rights to the back-bone. We shall not do him the injustice of attempting even a synopsis of his admirable effort. enforce obedience to the laws enacted at the Shawnee Mission; and he called upon those by whom he was surrounded to aid him in enforcing those laws. 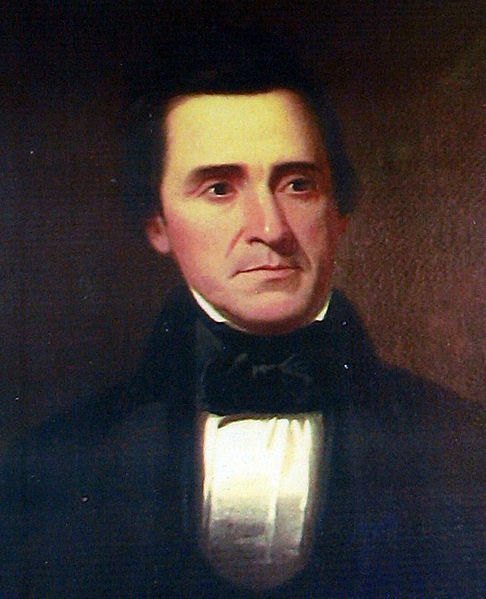 He took occasion to denounce the constitutional movement at Topeka; declaring it treasonable, and expressed his determination that such a state of affairs must not be permitted. In this speech he also alluded, in disrespectful terms, to the majority in Congress, and said that, in the next presidential election, the party with which he then acted would carry everything before them. 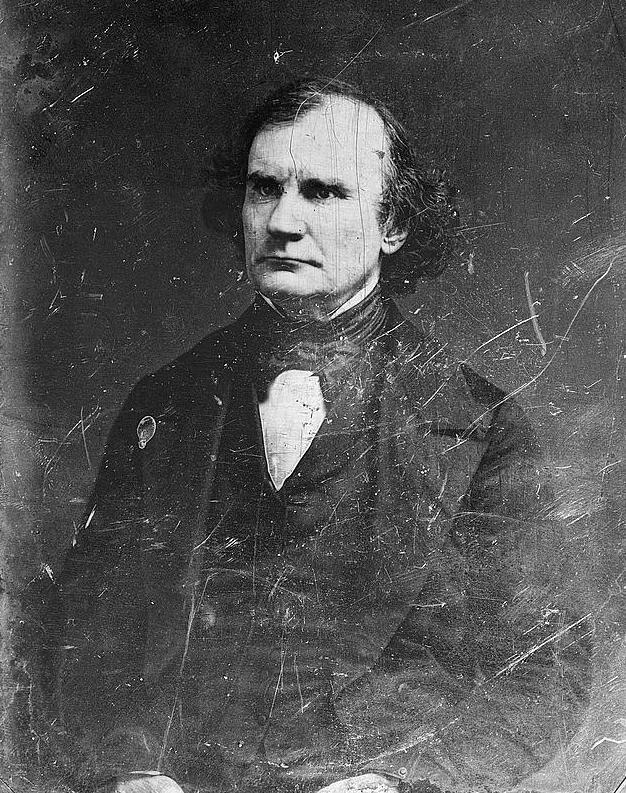 Levrett Spring agrees that Shannon made quite the speech, adding that he pledged Franklin Pierce backed the proslavery party. We left the October 30, 1855 Squatter Sovereign reporting on the local meeting in Doniphan to select representatives for the Law and Order Convention to meet at Leavenworth. 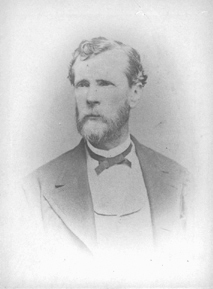 The gathering chose its delegates and further published a series of resolutions deeply informed by the late revelations from Patrick Laughlin regarding the Kansas Legion. With Laughlin then nursing a would acquired in his fight with Samuel Collins and at least two other participants in that brawl present, both of whom took part in drawing up the resolutions, they had a great deal on their minds. For once, the claim that abolitionists meant to personally murder proslavery men, women, and children in their beds seems like something they might genuinely believe in the offing. While the committee worked, the general body of the meeting had Laughlin’s story read to them. When they came back with their resolutions, the statement of purposes cited the threat of armed abolitionists directly. Of six resolutions, only two did not reference Laughlin or the Legion in some way. One endorsed the law and order meeting and the last instructed the Squatter Sovereign to print the Doniphan proceedings. 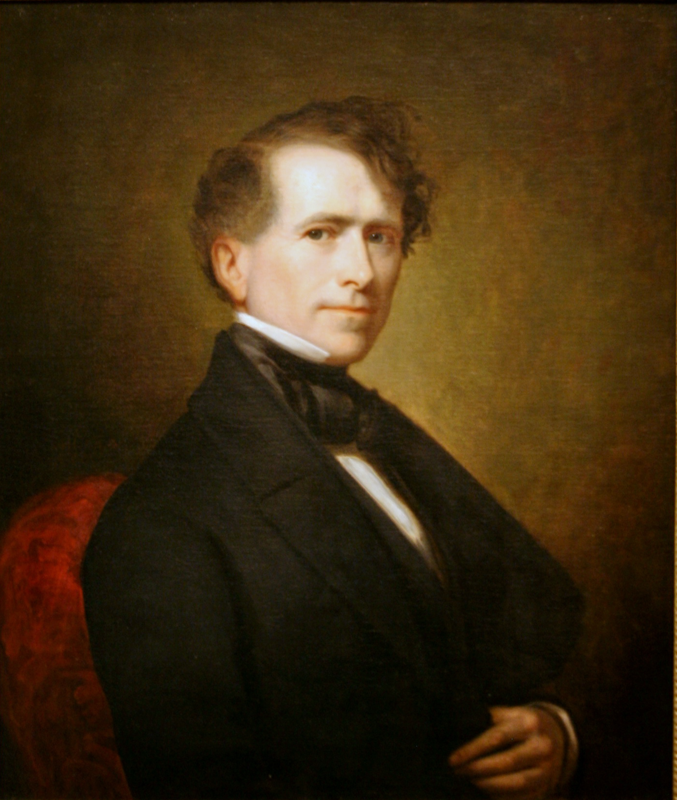 That we place most implicit confidence in the statement of P. Laughlin, Esq., in exposing the murderous designs of the secret organization of the Free-Soil-Abolition party […] and that he is a gentleman of good character and high respectability, and will receive the thanks of the people of Kansas and the Nation at large, for exposing to view the treasonable designs of a secret organization, who seek to plunder the country in civil war and drench the Nation in human gore. They believed in Laughin so deeply, in fact, that they named him one of their delegates to the convention. we most cordially invite every law abiding citizen, without distinction of party, to join us in upholding the Laws of our Territory and the Constitution of the Nation, that the horrors of a bloody civil war may be averted, and our country preserved. Just as the group in Leavenworth which called the meeting tried to sound moderate by appealing to universal concerns about order and independent of party, so too did the Doniphan group. There they soon faced the same problem as their antecedent did. To endorse the laws of Kansas hardly made one into a moderate acceptable to all parties. Back at the start of October, before Patrick Laughlin told all the Kansas Legion’s secrets to the newspapers, Samuel Collins called on him to recant, the two got into a fight that left Collins dead and Laughlin stabbed, generating a flurry of editorials, counter-editorials, and related writing, a group of proslavery men got together in Leavenworth and called for a somewhat more moderate course. They focused their criticism on the free state movement’s blatantly illegal and potentially treasonous program of setting up a wildcat state government. They would stand for law and order, albeit the kind that abetted slavery. 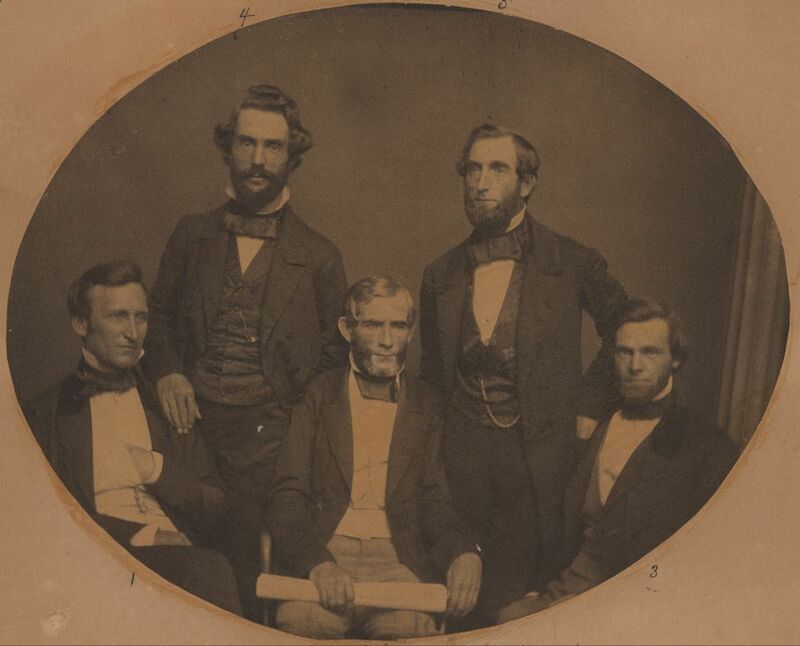 With the law and order convention scheduled for November 14, 1855, local groups around Kansas had to get together and select men to go if they wanted representation. The Squatter Sovereign for October 30 covered such a meeting in Doniphan, held hot on the heels of Samuel Collins’ death. 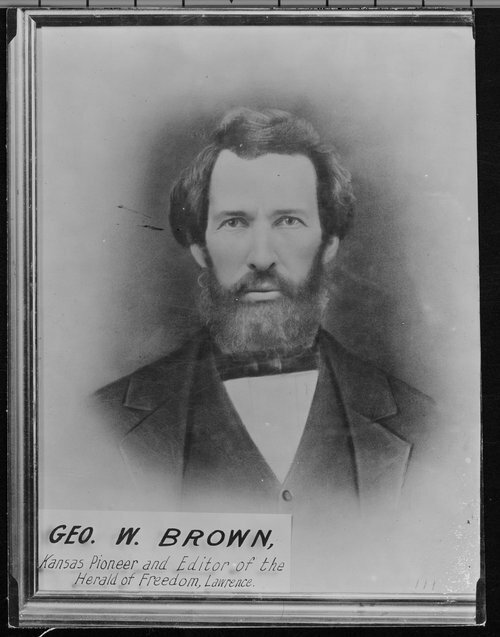 Per the Sovereign, “a large number” of the county’s citizens gathered at Dr. O. Brown’s office. Unless two doctors named O. Brown lived in Doniphan at the time, which could have happened, that office also saw Laughlin and Collins’ preliminary scuffle the night before their fatal confrontation. The Laughlin connection did not end there, as the meeting named James Lunch and James F. Forman among the county’s representatives. Lynch fired a shot during the Laughlin-Collins fight. Forman knocked Collins’ gun away. read the disclosure of P. Laughlin, relative to the Free-Soil-Abolition party, which had a thrilling effect on the attentive audience. With Collins’ death and Laughlin’s injury so recent, everyone must have heard something about it already. But not everyone read the papers, or read them in a timely fashion, so they must have attended the news eagerly. It would certainly set them in the proper mindset for battling antislavery Kansans. If the Law and Order men at Leavenworth said that the free state movement threatened anarchy, then the men at Doniphan could take their late experience as proof of the danger. One wonders how much of that they meant literally. Usually proslavery Americans invoked this kind of destruction as the result of a slave revolt, but Kansas had precious few slaves to launch one. However, given the late revelations of an armed secret society it seems more credible than usual that the authors understood the Kansas Legion as aimed at just that goal. “Abolitionists” might not wait for slaves to do their dirty work as a consequence of emancipation, but rather pursue emancipation through the murder of proslavery whites. Decapitating the Kansas Legion would certainly make a sounder night’s sleep for those who really did believe its members aimed to embark on a campaign of murder. They all at least arguably stood in violation of various Kansas laws, to say nothing of the general laws against murderous conspiracy. Even an impartial party could make a fair case against them on the latter grounds. Free state man Samuel Collins, a steam sawmill operator at Doniphan, Kansas, met Patrick Laughlin on the street at about dawn of October 25, 1855. 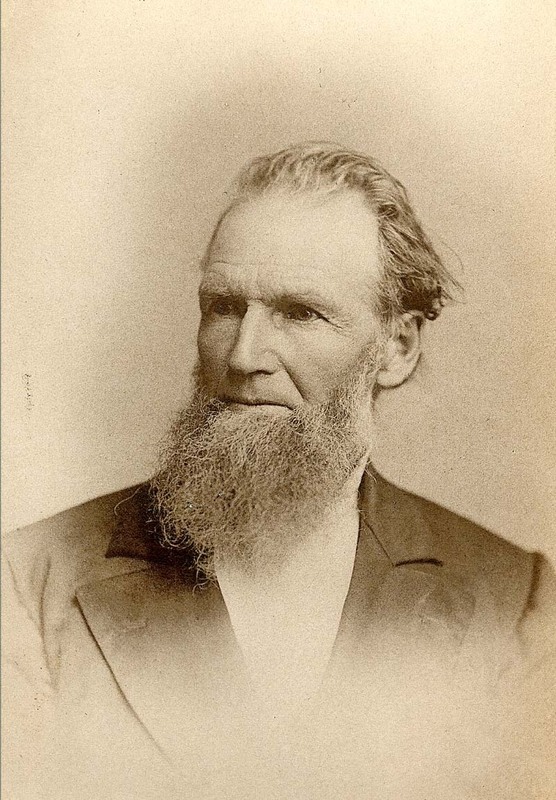 He and Laughlin clashed the night before at a doctor’s office over Laughlin’s revealing the secrets of the antislavery Kansas Legion. Come the morning, Collins saw Laughlin and approached him from behind with shotgun in hand. Laughlin’s own armament included a pistol and a bucket of flour. Collins, abjuring the benefit of surprise, called out to demand Laughlin recant. Laughlin declined and Collins pulled the trigger. His gun did not fire, so he rushed up and pulled a bowie knife, brandishing it at Laughlin’s throat and repeating his demand. Laughlin still refused to recant, at which point Collins stabbed him in the side. 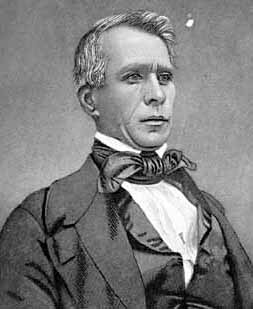 Laughlin fell back behind another man, James Foreman, and Collins tried the other barrel of his shotgun. This one fired, but Foreman got his hand on the barrel and knocked it aside before the discharge. Collins injured the ground at Laughlin’s feet. By this point, John or James Lynch had come out. Collins had threatened him the night before as well, so Lynch joined the fray with a shot wounding a fence across the street. Then he and Collins closed and used their guns as clubs, breaking both weapons. Collins beat Lynch to the ground. Mr. Laughlin’s brother ran up at this moment, and seized the pistol which had fallen out of the hands of his brother, and fired at Mr. Collins’ nephew, who was running away, and the ball just grazed the side of his neck. He then turned and presented the pistol at young Collins, who had knocked his brother down, who threw up both hands and asked him not to shoot, that his father was dead, and he desisted. The ground was covered with blood, like one had been butchering a hog, and I thought there were at least three persons killed-Collins, Laughlin, and Lynch. The excitement continued, with Doniphan “in a state of disquiet and alarm for some weeks afterwards”. Threats, or rumors of them, against Laughlin and Lynch, swirled about. Lyon told the Howard Committee that he did not hear any of the threats himself. Laughlin convalesced in James Foreman’s home and people said that someone had tried to break in and finish Collins’ job. That got a guard put up until the proslavery men could carry Laughlin across into Missouri. The sheriff that Laughlin and Lynch hoped would step in, thanks to the peace warrant they secure the night before, arrived minutes after the fight concluded. Lest one wonder if this confrontation arose from personal difficulties, with the politics only an aggravating factor, Lyon testified that Laughlin, Lynch, and Collins had lived in Doniphan some time and got on well before. This changed only when Laughlin exposed the Kansas Legion and, consequently, Collins’ role “as colonel of the Doniphan regiment.” Lyon thus deemed the affair “a political difficulty.” I see no cause to dispute him on that count, though I do regret that it appears only proslavery witnesses gave testimony on the matter. We left Patrick Laughlin, the Irish-born Kansas Legion member who exposed its activities to the general public, walking down the streets of Doniphan and away from free soil sawmill operator Samuel Collins. The two had a confrontation, and may have exchanged gunfire, over Laughlin’s exposure of the Legion the night before. They both made dire threats before that. The morning of October 25 found Laughlin and John (or James, the Howard Report calls him both) Lynch, who previously considered Collins a friend, with a peace bond against Collins. Allen B. Lyon came on the scene on his way to breakfast at a local hotel. turned round, and stood with a bucket of flour on his arm, and told Collins he had nothing to take back, and nothing that he could take back. Collins closed to within six yards, took aim, and pulled his trigger. The gun did not fire. In a hotel, presumably the same one where Allen Lyon planned to get his breakfast, John Lynch ate his own. He heard yelling from outside. Someone said Collins aimed to kill everybody in town. Himself a person in the town, as well as one who Collins had threatened violence against less than twenty-four hours earlier, Lynch considered himself a target. He went to the window for a look. He then rushed upon Laughlin, cursing furiously, drew a large knife from his breast, flourished it in front of Laughlin’s neck two or three times, demanding that he should take back what he had said. plunged the knife into Laughlin’s left side. Laughlin staggered several steps back, retreating from him. Collins then drew up his gun again, and presented it at Laughlin; and as he pulled the trigger, Mr. Foreman got his hand upon the barrel of the gun, and forced the muzzle down, and the contents entered the ground between Laughlin’s feet. could not say what Mr. Laughlin was doing, but I thought he was dodging behind Mr. Foreman, who seemed to be trying to intercede between them. This was between thirty and forty feet from the hotel, perhaps fifty feet. As my life had been threatened the night before, I seized my gun when I got up from the breakfast table, and took it with me out of doors, and when I got to the corner of the hotel in sight of the parties, I fired it in the direction of Mr. Collins. Mr. Collins immediately wheeled round, throwing up the breach of his gun, and advanced. Mr. Collins struck at Mr. Lynch, who received the blow on his gun, and the breeches of both guns were broken off; the next blow Mr. Collins knocked Mr. Lynch down. Lynch agreed that Collins knocked him down. He claimed to know nothing of the affray thereafter, though he told the Howard Committee that in light of the threat to his life he considered this all self-defense. Laughlin, shockingly, found this an unpersuasive defense. Collins rose up to answer him again, presumably with more than words, but another man in the office, Howard Committee witness Allen B. Lyon, took hold of him. Collins sat back down, but then rose once more and informed Laughlin to gird himself for the morrow. “Damn you, I will kick every rib in you out of you.” I could not say anything, I was so embarrassed at that. I remained in the chair and did not leave the office until Mr. Collins had left it. As Collins left the house, he stood in the door and shaking his finger at me, he said “Damn you, I will take your life.” I made no reply to him and he left. 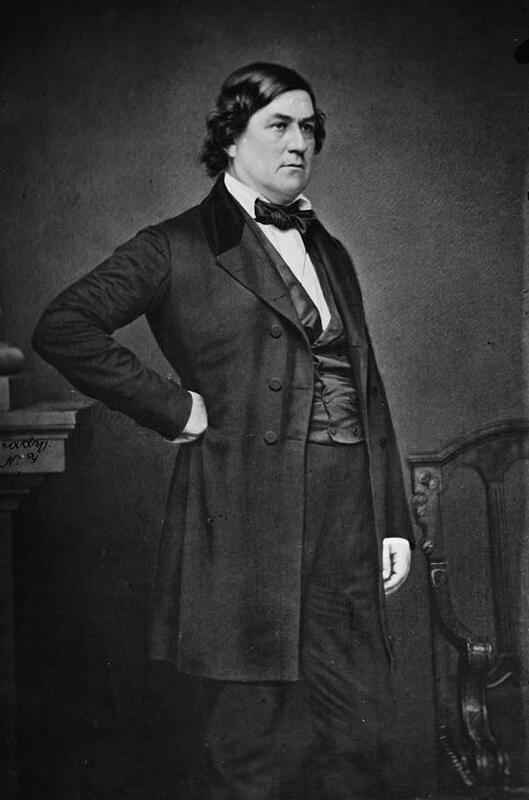 Collins made a statement in regard to Laughlin, that he understood James Foreman had given Laughlin a cow to change his politics, and publish this exposition. I’ve seen other references to Laughlin receiving a bribe to change his stripes. For a man of his modest means, a cow would be a pretty good inducement. However, it also sounds like the sort of story one would circulate about one’s enemies whether true or not. Nor should we discount Laughlin’s own version. As an Irishman in mid-nineteenth century America, he likely had good reason to be very wary of anything that smelled like Know-Nothingism. we heard the report of a gun, and then while we looked out of the window, I saw the flash and heard the report of two guns, apparently in the yard of Mr. Collins’ house. Lynch doesn’t mention this at all, but I don’t see much advantage to Lyon in inventing it. One could read the affair as Laughlin and/or Lynch firing on warning shots, or otherwise, at Collins’ house. Lyon tells us that Laughlin had a gun with him in the office. Alternatively, Collins could have gotten home, seen them on the street, and fired warning shots of his own. Both might have happened, with Collins firing warning shots and Lynch and Laughlin returning fire. Whatever happened with the gunshots in the night, Lynch and Laughlin secured a peace warrant against Collins. Lynch delivered to the sheriff with the expectation that come morning Collins would appear and they would require protection. Around sunrise, Collins’ son, whom Lyon refers to as “young Mr. Collins” called to re-measure some lumber that Collins had sold Lyon. He thought they hadn’t done the measurement correctly and wanted to verify. Young Collins did some measurements and went home. Laughlin at that time was standing in the main street of Doniphan, about twenty steps from me, talking with Mr. James Foreman and some others. A few minutes afterward, I started to breakfast. When I got to the corner upon which the hotel stands, I met Mr. Collins, his two sons, and a nephew. Mr. Collins had a double-barrel shot gun in his hand, both barrels cocked. Mr. Laughlin was walking directly from Collins, about twenty yards in advance, with his back towards Collins.